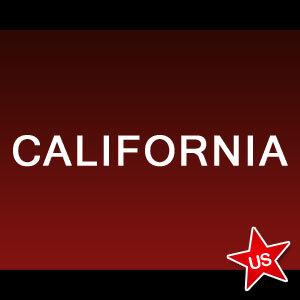 Just under the deadline to be debated during the current 2014 legislative session, two new online poker bills were introduced in California on Friday. SB 1366 appears to be a re-introduction of the previously proposed SB 678, which was volleyed by Senator Lou Correa last year. Now entitled the Internet Poker Consumer Protection Act of 2014, the measure lists no sponsor. However, OP Report makes the assumption that the bill’s sponsor is again Correa based on the similarities to SB 678. SB 678 had the backing of the San Manuel Band of Mission Indians. SB 1366 seeks to eliminate from possible licensure any poker sites that accepted players from the U.S. following passage of the UIGEA in 2006. It also leaves room for partnership agreements with other states, which would bring tremendous joy to the player pools in Nevada, Delaware and New Jersey due to California being the country’s most populous state. The second online poker bill to be considered was authored by Assemblyman Reggie Jones-Sawyer and has been designated as AB 2291. A number of tribes that include the Pechanga Band of Luiseño Indians and the Agua Caliente Band of Cahuilla Indians have put their stamp of approval on AB 2291. Unlike SB 1366, Jones-Sawyer’s proposal would restrict online poker play to within California only, eschewing any interstate deals. Only cardrooms and tribes would be able to apply for licensing, with the duration of the license set at 10 years at a cost of $5 million. AB 2291 includes bad actor provisions, but does not set a firm date as to when catering to the U.S. market should have ceased. With talk of an online poker bill periodically being mentioned at the federal level, AB 2291 does address such possibilities by prohibiting any such involvement. Many will recall that Utah, which remains one of only two states without any form of legalized gambling, long ago passed legislation opting out of any potential federal scheme. Both AB 2291 and SB 1366 were floated as being of an urgent nature. As such, if either managed to gain passage, the law would become effectualized in speedy fashion. In the case of AB 2291, January 1, 2015 has been proposed as the date that online poker websites would go live. California gubernatorial elections are slated for later this year, which has caused some critics to state that an online poker bill will never find approval in 2014. Whether that is true should likely become clearer in coming weeks. Two-thirds approval from both houses in the state legislature is required for passage. Look for the Coalition to Stop Internet Gambling to step up efforts aimed at derailing the success of either of the two new bills. The coalition’s founder, casino mogul Sheldon Adelson, has targeted individual states as well as federal lawmakers in his quest to prevent the regulation of online poker and gambling.